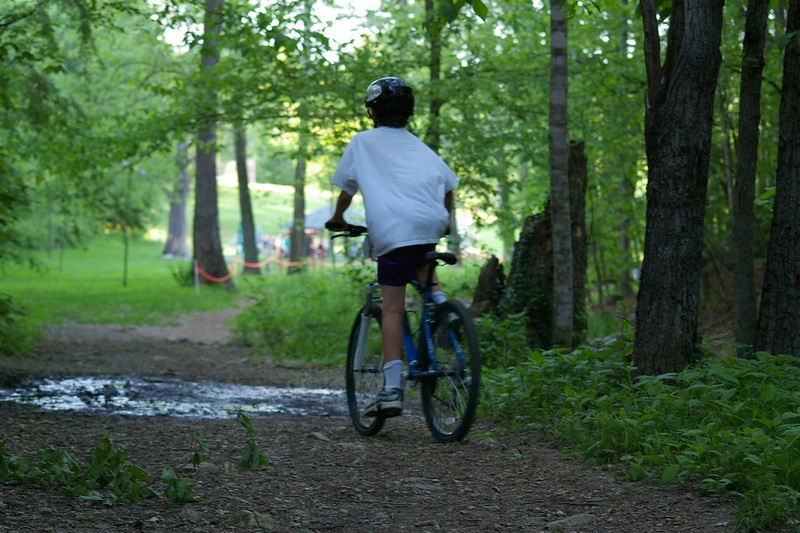 Take a Kid Mountain Biking Day is a free public event open to kids of all ages who love to ride bikes. Hosted in cooperation with Roanoke IMBA and Roanoke County Parks & Recreation, the event will take place on October 6th, 2018 at Explore Park from 10:00 AM to 3:00 PM. There will be games, instruction on mountain biking fundamentals, skills challenges, and group trail rides led by experienced adults. Children of any age who can pedal without training wheels are welcome to attend. Helmets are required for all participants. This is a free event but we do ask that you register in advance so that we can plan accordingly. Please complete the registration form for each child who will attend. Please provide an email address so that we may contact you in the event of weather related schedule changes or cancellations. Copyright 2019 Star City Cycling, Inc.